Miniature Texas Longhorns are descendants of standard-sized longhorns that have been selectively bred to reduce their size. Historically, these Miniature Texas Longhorns have been registered within the standard TLBAA registry. To make a hip height measurement, a measuring square is held vertically alongside the animal’s hip with the perpendicular sliding arm positioned level and directly over the hook bones. The measurement read from the vertical portion of the square where the perpendicular arm attaches. For accurate height measurements it is necessary for the animal to have its legs set squarely and head in a normal position. Submit a completed Miniature Reclassification Application for cattle that are at least 6 months old. Submit the original registration certificate of the animal. A new miniature registration certificate will be created once the animal has been accepted into the miniature registry. Submit a payment of $15 for the reclassification and generation of a new registration certificate. Cattle that are greater than a Frame Score of 1 (45″ for cows and 48″ for bulls at 3 years of age and older) will be considered Miniature Texas Longhorn Breeding Stock. 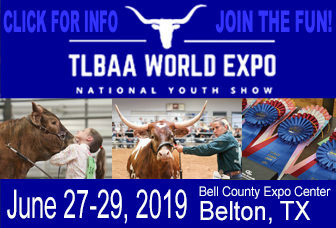 Miniature Texas Longhorn Breeding Stock is eligible for entry into all TLBAA sanctioned Miniature Texas Longhorn activities, including shows. No separate registration certificate will be issued for Miniature Texas Longhorn Breeding Stock. They will be issued a standard Miniature Texas Longhorn registration certificate and there will be no separation within the TLBAA registry between Miniature Texas Longhorns and Miniature Texas Longhorn Breeding Stock. Miniature Texas Longhorn Breeding Stock should be advertised with the “Breeding Stock” designation. Reclassification of an animal that is already registered within the standard registry is $15, regardless of age. Original registration of Miniature Texas Longhorn cattle will follow the TLBAA price schedule (varies by age) and there is no additional fee associated with Miniature designation or required review (no review if both the sire and dam are registered Miniature Texas Longhorns). Transferring a Miniature Texas Longhorn that is already in the Miniature Texas Longhorn registry into someone else’s name will follow the standard TLBAA price schedule ($15 1-60 days / $25 61+ days). If a Miniature Texas Longhorn is in the standard registry and is sold to a new owner, the animal must first be transferred to the new owner ($15 1-60 days / $25 61+ days) and then the new owner may apply to reclassify the animal as a Miniature within the Miniature Texas Longhorn registry ($15). To change a Miniature Texas Longhorn Bull to a Steer within the Miniature Texas Longhorn registry is $15, regardless of age. If a Miniature Texas Longhorn bull is in the standard registry and the owner wants to change it to a steer and move it into the Miniature Texas Longhorn registry, they must either first change it to a steer within the standard registry or reclassify it as a Miniature within the Miniature Texas Longhorn registry and then change the status from bull to steer. The cost for each action is $15, for a $30 total fee. 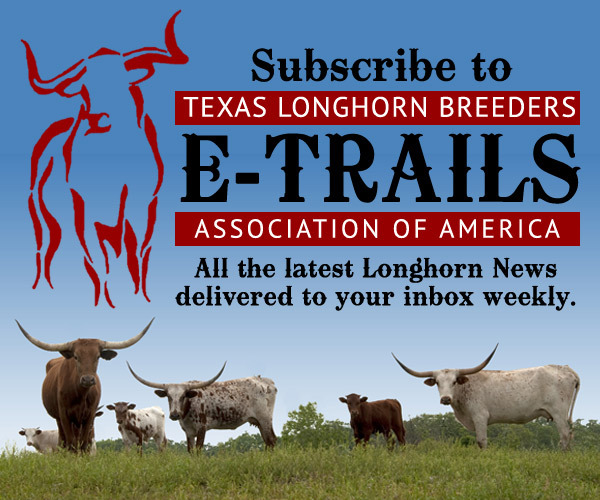 For questions regarding the TLBAA Miniature Texas Longhorn registry, please contact us at tlbaa@tlbaa.org or call (817) 625-6241.